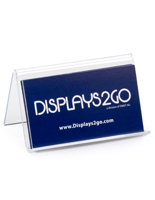 This single pocket business card display for wall mount provides customers with easy access to credentials and contact information so they can stay connected. 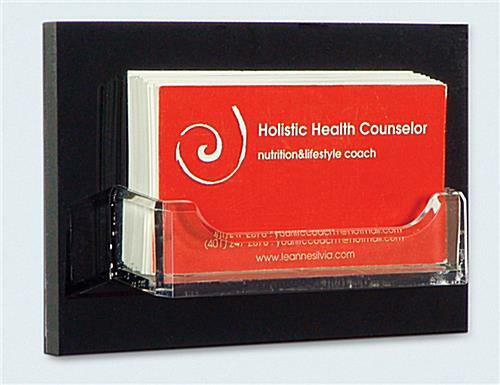 This card holder is an acrylic office promotional tool. 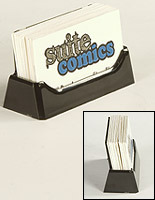 This business card holder is a great sales tool tool for retail offices, but it can be used virtually anywhere. 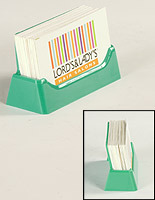 Place by a register or entry way to remind clients they need to take your name and address sheet with them when they leave. 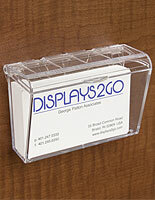 Grabbing cards-2-go is easy with this straightforward acrylic case with polished edges and a black backer. 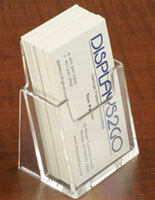 This card display frees up counters, while helping et the word out about company products and services. 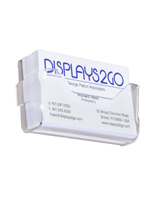 Mounts in seconds with double-sided tape or a lightweight screw. 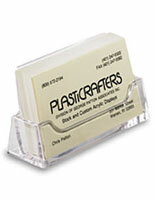 3.8" x 1.0" x 0.5"
We are unable to accept orders for less than 10 units.